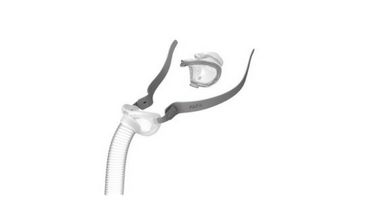 This is the headgear assembly for AirFit P10 Nasal Pillow Mask only. This elastic headgear provides a snug fit without snaps or velcro. It is recommended to replace your headgear every six months or as needed. This is a component part for the AirFit P10 Mask system. To obtain the complete system, you also need the following: AirFit P10 Mask System Without Headgear.